PC Repair, Network Installation, Phone Screen Repair, Security Cameras, Web Hosting, Custom Website Applications in Hillsboro, OH - Edenfield Computer Services, LLC. About Edenfield Computer Services, LLC. We also provide security cameras, vinyl graphics and decals for signage and vehicles. 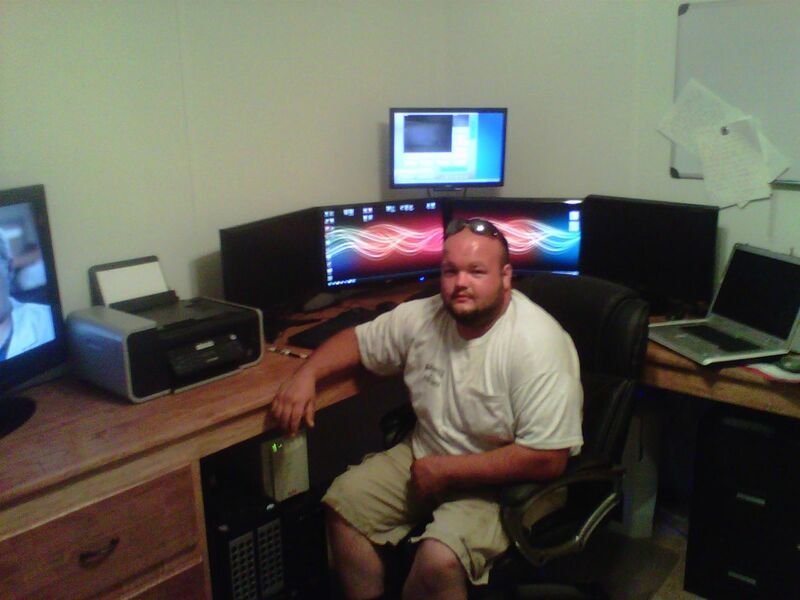 ECS Specializes in computer repair, virus removal, security camera installation and network installation for residential and commercial locations. ECS works on all computers with a Windows operating system (no Mac's). We are a certified reseller of AVG antivirus products. We offer Geovision and Clearvision CCTV security camera products. Certified AVG antivirus reseller. I have a bachelors in Computer Engineering software from DeVry University. As a young lad, I have always had a passion for electronics and how things work. At that young age, I began working on and repairing electronics and computers for fun. Once I figured out that I could make a living doing this, I fell in love. Through my years of college, I began repairing computers and designing/coding websites and applications for any customers that needed something done cheap, as I would do anything to gain experience. Still to this day, I offer great services at low prices. There is no single job that I am proud of more than the other. Any and all jobs completed and satisfied customers to go along with the projects is what I'm proud of. ECS averages 20-30 mid to large size jobs a year. Along with that, we repair hundreds of computers each year. Computer repair such as hard drive replacement, virus removal and antivirus installation and RAM upgrades. (Q) I keep getting viruses, what can I do? (Q) Is there anything I can do to keep my computer running strong? (A) As with vehicle maintenance and checking your oil, open up the case and use a can of compressed air or a vacuum to remove dust from inside your computer case, this keeps the computer from overheating. How simple it actually is to retrieve customer data from failed hard drives in their computer. It seems that most companies take the easy way and just reformat hard drives. We take pride in finding the virus or problem and fixing it the right way. Ask for contacts to other reputable companies that you have performed services for. Ask how long it will take to complete the job. If the customer has any knowledge of the work to be completed, as questions you already know the answer to, to get a feel of how the company might answer, also says a lot about their work. What the customer wants in the finished product. I realize that the reason for customers finding a professional is to complete a job the customer doesn't know how to do and that the professional may give a lot of insight on how to complete the job and what the final product will be. However, the customer is the one that is paying for the job, and has to use the final product, so the more the customer know what they want, the more satisfied they will be with the final product. The care and pride ECS takes to make sure the customer is happy with their final product. To a lot of companies, the customer is just another dollar. With us, if the customer isn't happy, we are not either. We offer complete services to make sure the customer is satisfied and continues to stay satisfied. On all new equipment, we offer 1-year parts and labor for replacement. ECS stays in business because of great customer feedback, and we need the customer to help us to continue to stay in business for many years to come. Our services. We don't push the customer to buy new when the old equipment they have can be repaired and save them hundreds or even thousands of dollars. Fixr has validated the email provided by Edenfield Computer Services, LLC..
Fixr has reviewed the content provided by Edenfield Computer Services, LLC. to match our community guidelines. 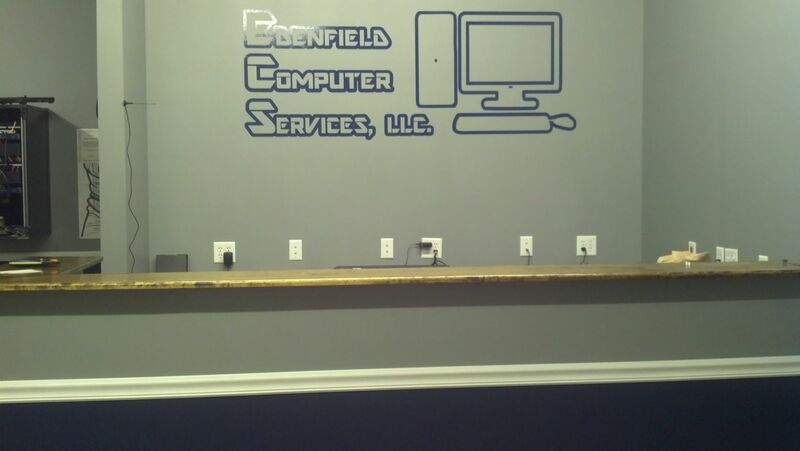 Edenfield Computer Services, LLC. has been rated with 50 experience points based on Fixr's rating system. Be the first to review Edenfield Computer Services, LLC. Contact Edenfield Computer Services, LLC.